Oaklawn has been in operation since 1904. 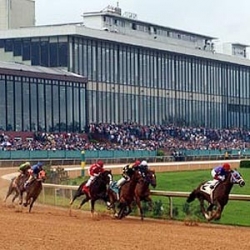 Oaklawn Racing & Gaming is planning a $100,000,000 casino and hotel expansion in Hot Springs, Arkansas over the next two years. Louis Cella, the president of Oaklawn Jockey Club, said the $100 million project is the largest-ever private investment in Arkansas’ hospitality and tourism industry. Cella called the casino expansion a “new chapter” in Oaklawn’s history, which stretches back to 1904. This is the third time since 2008 the racetrack and hotel complex has expanded. Cella said the latest expansion will make Hot Springs a “premier tourism destination”. The plan includes a renovation of the thoroughbred racetrack which is the centerpiece of Oaklawn Park. Louis Cella said the project has been planned for 4 years and would have happened even if Arkansas’ voters had not approved a constitutional amendment to the company’s advantage earlier this month. Amendment 4 approved casino gambling for two of the state’s racetracks: Southland Gaming & Racing’s greyhound track in West Memphis and Oaklawn in Hot Springs. The referendum also approved new casinoos for Pope and Jefferson counties. The same measure called for revenues from all four casinos to be used to boost the purses on horse and dog races in the state. That should give Oaklawn the boost in national thoroughbred racing that Louis Cella referenced at his press conference this week. The project includes the building of a 200-room hotel on the Oaklaw Racing complex. High dollar suites will have a direct view of the Oaklawn racetrack. On the other side of the hotel, rooms will have a scenic view of the Quachita Mountains to the south. Oaklawn Racing also will have a 14,000 square foot event center. The building will have room for weddings, banquets, business meetings, and live concerts. The concert hall will have 1500 seats. The racino’s gaming space will be increased by 28,000 square feet to expand into a full casino. The casino gaming space will have a restaurant and a food court. All in all, the new casino, hotel, and live event center should increase revenue streams in three main areas for Oaklawn. After the racing season ends on May 4, Oaklawn plans to begin construction on the new expansion. The casino is set to open in January 2020, while the hotel and events center have expected openings in late 2020. The development should create 2,300 jobs in construction and 400 permanent casino staff jobs. Operations at the racetrack and current gaming center should not be affected by the ongoing development. Oaklawn remained publicly neutral on the Amendment 4 proposal, though it had opposed such referendums in the past. The measure passed by a 54% to 46% margin after a tough public relations, court, and political battle over whether Amendment 4 would appear on the November ballot. Gov. Asa Hutchinson was on hand for the announcement this week. He said that Oaklawn officials visited him at the governor’s mansion in October to discuss their plans.